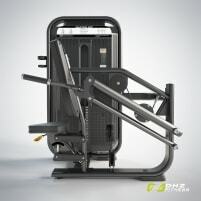 Dip machine: the dip machine is an arm fitness machine which suits especially for triceps training. The exercise consists in pushing down grips sideways of the body. According to the position of the upper body also breast and shoulder muscles participate. Training with a dip machine is especially suitable for beginners who can’t yet manage free dips. 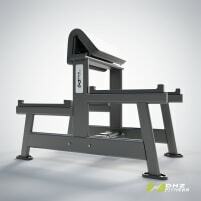 A new or used dip machine therefore is an important training machine in the strength training area. 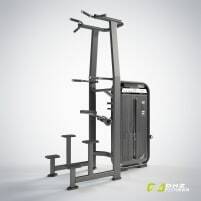 Horizontal triceps machine: This machine is similar to the biceps machine, but the resistance is pushed downwards by the elbows. 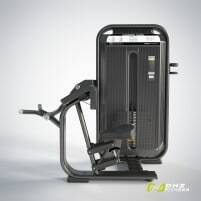 New or used horizontal triceps machines guarantee even and natural movements at a high level of muscle concentration. Biceps machine: Training with a biceps machine strengthens nearly only the biceps. 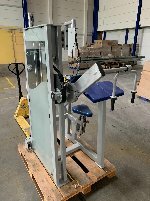 Because of the special construction of grips and paddings a soft and fluid motion sequence is possible and allows a comfortable training with the new or used biceps machine. 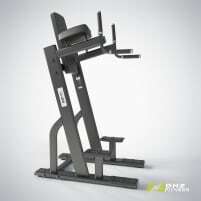 Biceps curl or Scott curl bench: Actually the Scott curl bench is a kind of weight bench, but it is especially suitable for isolated training of the Scott curl because of its specific construction for weight training with barbells and dumbbells. It also provides a height adjustable seat as well as a bent and padded arm rest and can be adapted to the individual size of the athlete. 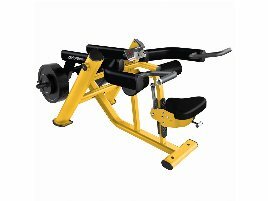 On fitnessmarkt.com, the marketplace for new and used fitness equipment, you can create an ad for new or used arm fitness equipment in just a few steps. 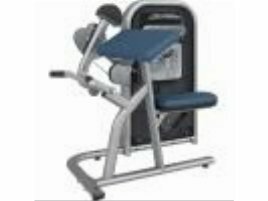 Only some information about the new or used arm training machine is necessary and the ad is online and visible for prospective customers. 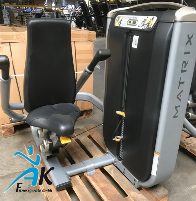 If you are interested in new or used arm fitness machines, you can easily find a suitable product by using several search criteria. The radius search enables a local search in the chosen area and shows the distance to the item location.